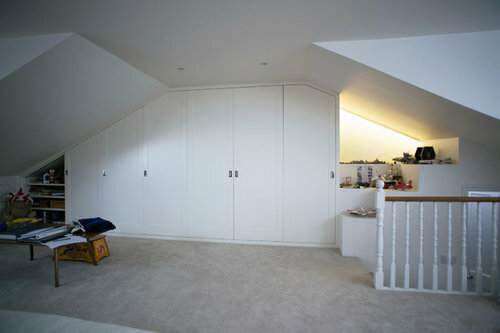 This fitted wardrobe in the loft room houses a kitchenette, toy area and clothes storage. 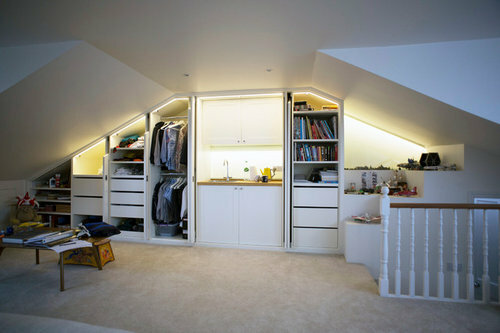 It was important to have ease of access without the doors in the way, while being able to close the wardrobe to keep the room clean and tidy. 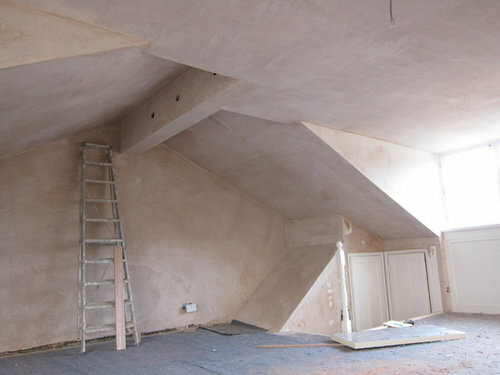 Before picture of the space where we located the fitted wardrobe. Hi Lisa, nice sofa. I had a red sofa for 10 years and loved it ( though mine was fabric) I've changed the kitchen/ living room and it stuck out like a sore thumb. I gave in and put in a grey leather sectional one and I must say it's much easier to decorate around. Are you in Ireland? Have you heard of the 1933 company, they have very nice suites. Red makes a big statement! Just my 2 cents worth, good luck! Upcycle mental block! Can see potential. Help please? Adding width BEHIND THE BED - with a headboard (which doesn't have to be a &quot;headboard&quot;; it could be fabric, collection of mirrors, collection of pictures, a farm gate!, small chairs or stools) across the entire width. Matching bedside tables/bookcases/chests/ with LAMPS - useful storage for extra books, extra bedding, etc. CURTAINS always warm up a room. People will always feel colder away from home - provide an extra blanket or duvet to add to the bed. I notice there is no WARDROBE. Not really necessary for overnight guests (provide hooks on the back of the door) but useful for storing your out-of-season coats, etc. There is plenty of room behind the door. Buy one on eBay and paint it to suit your colour scheme.